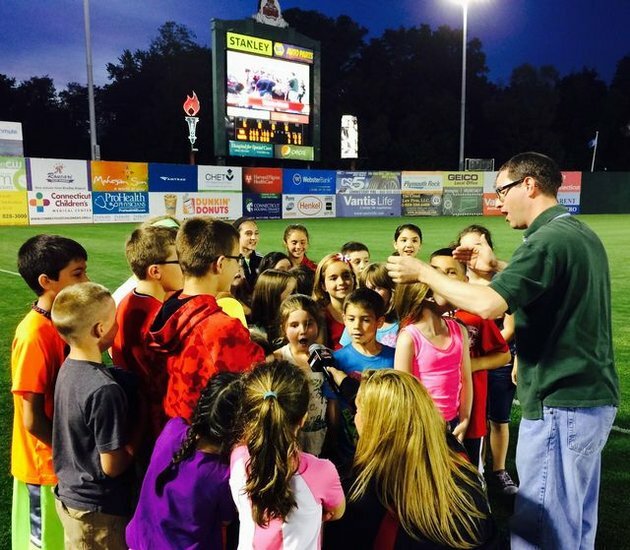 On Friday night, several Wakelee students and their families attended the New Britain Rock Cats game. During the Seventh Inning Stretch, the students took the field and sang "God Bless America" led by Mr. Fontaine. The students also received glow sticks and enjoyed a fireworks show after the game. It was a great ending to a perfect spring evening.